10 persons have been quarantined in Calabar, Cross River state after a patient at the University of Calabar Teaching Hospital, UCTH died of symptoms of the deadly disease yesterday October 7th. At a press conference this evening, the Chairman of Medical Advisory Committee of the hospital, Dr. Queeneth Kalu, made the revelation and said necessary steps have been taken to contain the spread of the suspected viral disease. 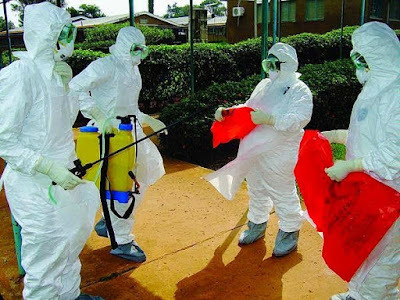 She said the blood samples have been sent to the Ebola Diagnosing Centre in Benin Edo State for proper diagnosis. she said She said those who have been quarantined include the nurses who attended to the patient and those who came in contact with him before his death. She also stated that the National Centre for Disease Control, Federal Ministry of Health, The Cross River State Government, Calabar Municipality, and the Department of State Security Services, DSS have all been informed of the development.